One of the first things that people take into consideration before getting a tattoo is what their tattoo meaning will be. For many tattoo designs, the tattoo meaning isn’t immediately obvious, which makes the meaning of the tattoo very personal to the wearer. 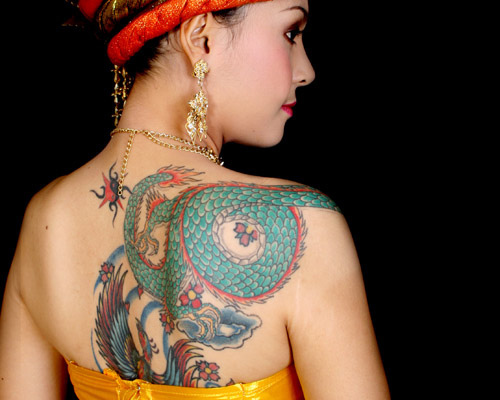 For others, the tattoo meaning, such as in a tribal tattoo or a heart tattoo, can be inferred by the specific design or colors used in the tattoo. Regardless of what tattoo design and tattoo meaning you choose, keep in mind that tattoos are, of course, permanent. You want to devote plenty of time to considering what you want your tattoo to mean, as well as what tattoo design you want to use, and where you want it to be inked on your body. You may even want to try out a temporary tattoo in that location to see how you like it before you spring for the real deal. 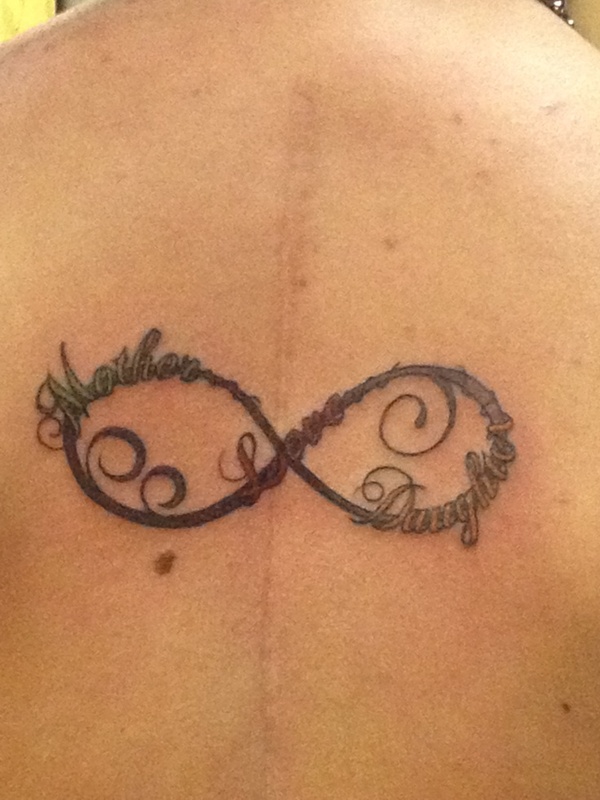 Regardless of what kind of tattoo you get, the tattoo meaning should be something that is important to you. Consider the following information about tattoo meanings before getting inked so that you can make sure you choose the right tattoo meaning! Some tattoo meanings are explicit. For example, a musician might get a music note inked on his or her body, or a woman might include her husband’s initials in a heart tattoo. For other people, tattoo meanings are more mysterious or discreet, exemplified by tattoo meanings symbolizing a good luck charm or totem. Examples of this type of tattoo meaning include dreamcatcher tattoos and other spiritual images like cross tattoos and some animal tattoos. Tribal tattoos meant to honor a person’s heritage are particularly interesting and cryptic because they were historically used to tell a story about the wearer and his role in society. Tribal tattoos were inked by ancient civilizations as a method of denoting status within a tribe, and some people today still consider tattoos a status symbol. Deciding what your tattoo meaning will be is an important step in getting a tattoo, and learning about different tattoo symbols and designs can help make this decision easier for you. Many people choose to get a preexisting tattoo design inked on their body, whether it’s a Maori tribal tattoo, a Chinese symbol meaning love or strength, or a monarch butterfly tattoo. This route is preferred by most people because it gives them the opportunity to research the meaning of the tattoo and make sure that they don’t make any mistakes in the interpretation of the tattoo. (We’ve all heard about the dreaded Chinese tattoos that mean “wimpy b—-” instead of “strong woman,” or something like that.) Other people take the tattoo design into their own hands, truly making the tattoo their own creation. 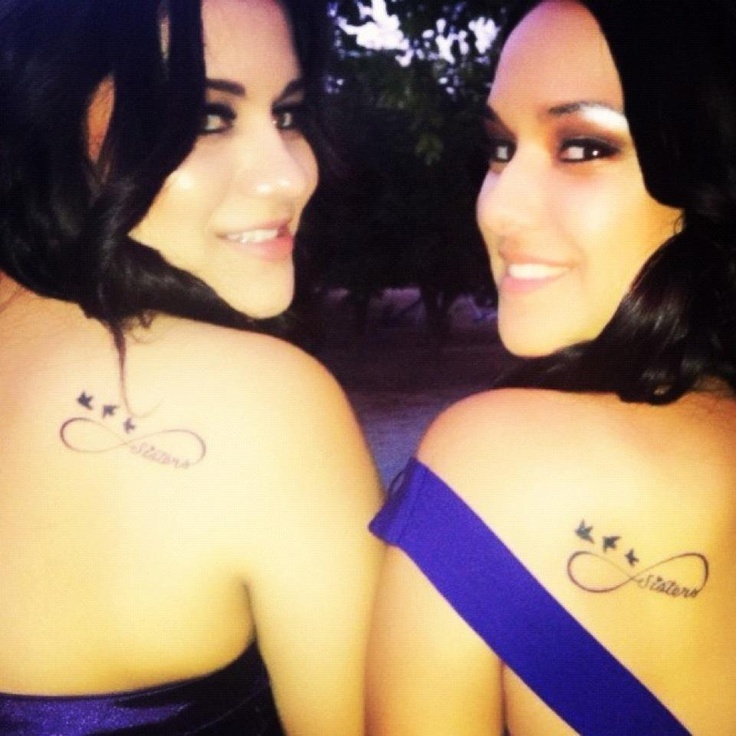 While this option may make the tattoo more personal and unique, you also run the risk of misinterpreting the tattoo design, ending up stuck with a black butterfly tattoo that means death instead of beauty. Whether you decide to pick your tattoo design from a book or your brain, your tattoo should tell a story from beginning to end. A great example of a tattoo meaning with a story behind it is the lotus flower tattoo, which typically carries a meaning symbolizing an awakening, beauty or rebirth. In nature, the lotus flower starts out as a small bud down in the muck and mud of a pond. The lotus then slowly grows up towards the surface of the water, always moving towards the light. Once it comes into the sunshine, the lotus flower begins to blossom and turns into a beautiful flower. Because of its inherent symbolism, lotus flower tattoos hold a specific meaning, regardless of where they are located on the body and what colors are used in the lotus tattoo design. 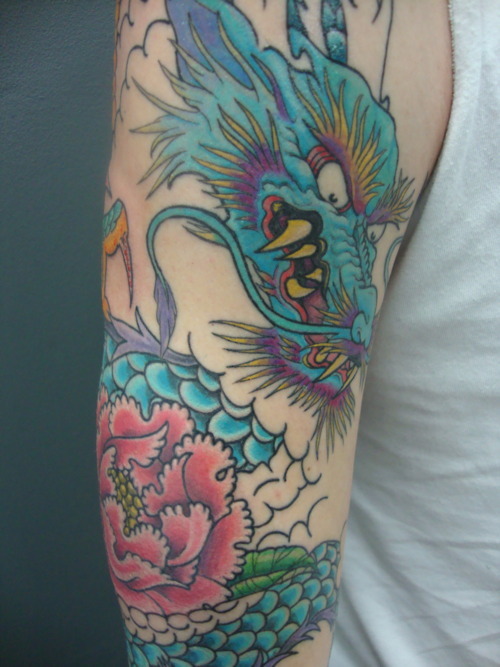 Another kind of tattoo design with a meaning influenced by ancient myth is the koi fish tattoo. Historically, koi fish have been widely celebrated for their beautiful colors and worldly aspiration, and koi fish tattoos have come to represent perseverance, success and determination. According to Chinese legend, koi fish were strong enough and resolute enough to swim upstream against the current and were even able to scale waterfalls. The Chinese believed that koi fish succeeded in climbing the falls at a point called Dragon Gate on the Yellow River, in an effort to fulfill their destiny and be transformed into dragons. Since that time, koi fish have been represented in a number of different tattoo designs, each of which tells a particular story. Some say that koi tattoos depicting a fish swimming downstream mean that the person has yet to rise above a difficulty in his or her life. Koi fish shown swimming upstream, on the other hand, represent a person that has successfully overcome an obstacle. Whether you believe in this koi fish myth or not, there is no getting around the meaning of koi fish tattoos. 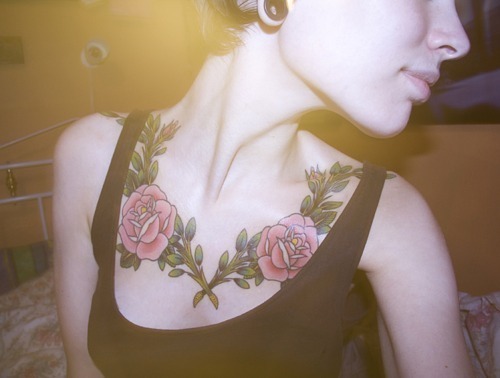 Tattoos are becoming more and more popular in the United States, among both men and women of all ages. People choose to get tattoos for any number of reasons; some people say tattoos make them feel sexier and other people get tattoos to represent something (or someone) they care about. Unfortunately, some people end up regretting their decision to get a tattoo, whether it’s because the tattoo meaning just doesn’t pertain to their life anymore, or because the tattoo doesn’t mean what they initially thought it did. Here’s an extreme example: You think shamrocks are a good luck charm and your favorite number is six. So, you decide to design your own tattoo, consisting of a three-leaf clover with the number six inked on each of the leaves. If you went ahead and got this tat inked on your body, you would probably be pretty bummed when you found at that your “good luck charm” was actually the symbol for the Aryan Brotherhood, a white supremacist group. If you want to find a tattoo design and meaning that you won’t regret later on in life, make sure the tattoo symbolizes something that you really care about, like a family member, your family’s Celtic or Polynesian heritage, or a quote representing your worldview, for example. And, again, make sure you know exactly what your tattoo meaning represents. Since we’ve covered the fact that discovering your tattoo meaning before getting inked is important, now you just need to know how to go about doing the research. Look no further! 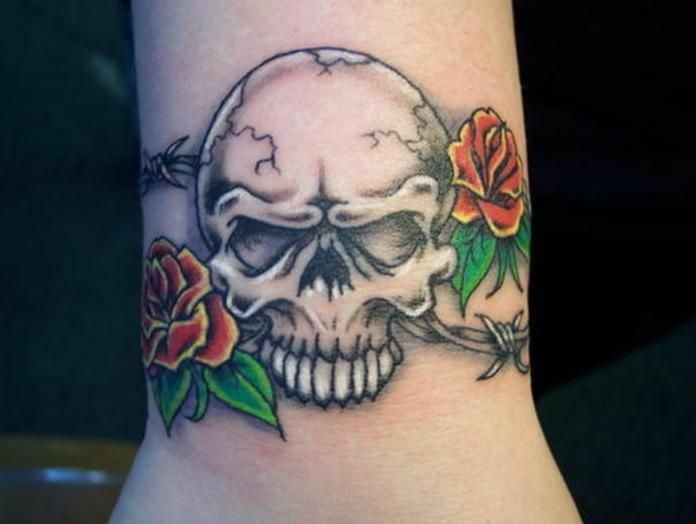 We have compiled a vast collection of tattoo meanings on this site from a number of different sources, in order to bring you accurate and reliable information about different tattoo meanings. So whether you want to get a blue butterfly tattoo, a Maori tribal tat, an orange koi fish tattoo or a Japanese cherry blossom tattoo, you can search our comprehensive tattoo meaning archives and choose your tattoo design based on dependable research about the meanings of a variety of tattoos. Once you’ve taken that important step, you’re all set. Go get inked!